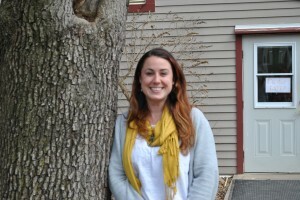 Ashton found her passion in programming working as a Camp Counselor for the New Britain Parks and Recreation Department, moving her way up to a supervisor programming position by the time she was college age. She then studied Recreational Programming at Southern Connecticut State University. Prior to her days at Common Ground, Ms. K ran a Family Resource Center where she coordinated workshops, after school programming, and information sessions for parents and students. She saw an opportunity to grow in her career by continuing to enrich the lives of young people through community, academic, and after school programming.